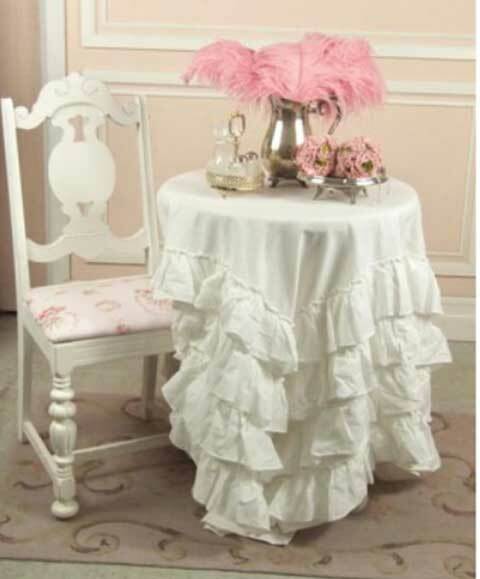 This gorgeous white tablecloth with ruffles galore! 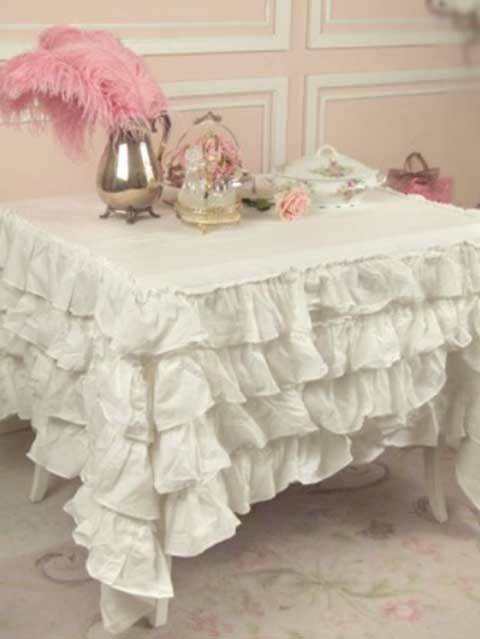 It is 100% cotton and features charming, large cotton ruffles at the edges. Please note, the measurements listed includes the ruffles. 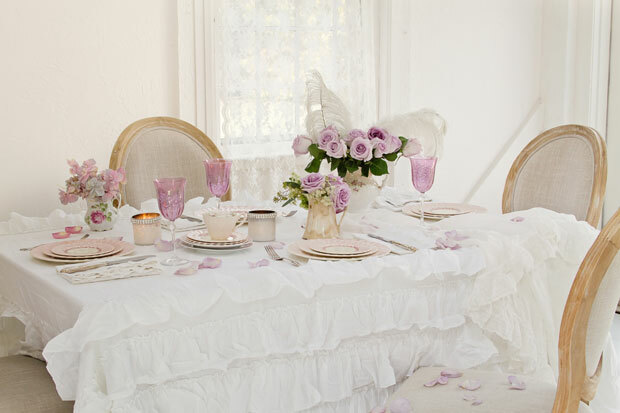 It is a square tablecloth but also looks fabulous on a round table! See photos.